Adept Solutions welcomes the Operations Manager from JV Poltava Petroleum (PPC). 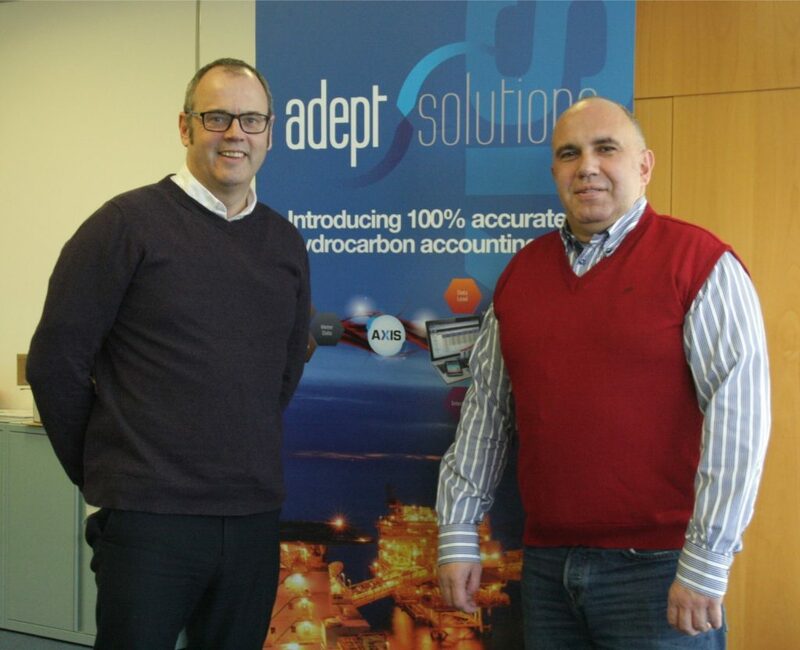 Last week, Adept Solutions were delighted to welcome the Operations Manager from JV Poltava Petroleum Company (PPC), Serhii Veldiaksov to our offices in Aberdeen. Serhii travelled from Ukraine to discuss important operational changes to the PPC business. Aberdeen even provided a little snow to make Serhii feel at home, although we could not quite match the minus 15 degrees Centigrade in Poltava. PPC is one of our original clients and we are delighted that 12 years down the line Axis is still entirely fit for purpose. PPC use a dual language script (Cyrillic/Latin) version of Axis and they have recently upgraded to Axis 4.1. Poltava Petroleum Company (PPC) has been using Axis for over 12 years. We started using the system when we had only 14 wells and now, we have more than 60. We receive accurate information about our oil and gas production, management of wells’ performance, and gas consumption for internal needs. Most importantly, we are able to securely store all production data generated since we started using Axis. Left to right: Steve Penman, Adept Solutions’ Client Director and Serhii Veldiaksov, Operations Manager, JV Poltava Petroleum.